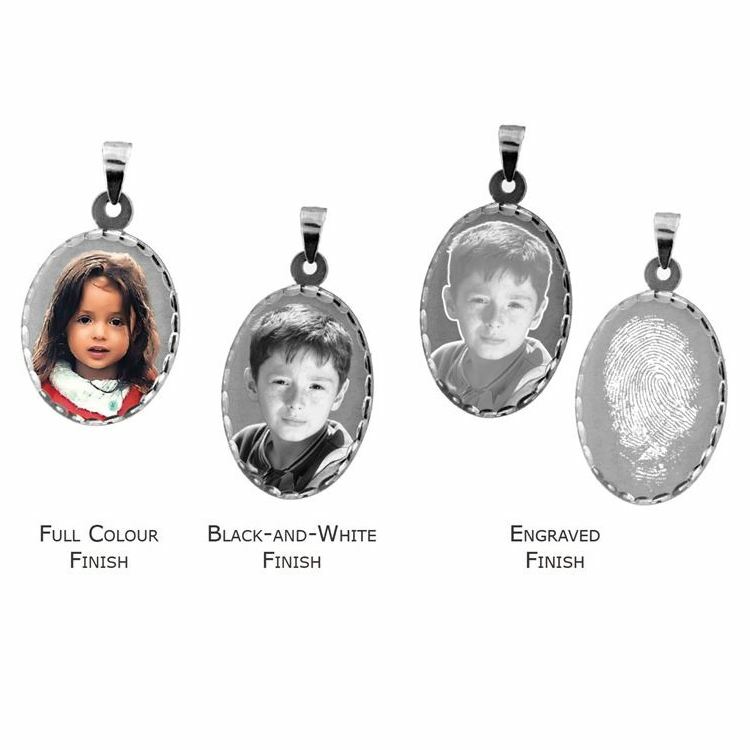 Personalised sterling silver 25mm oval photograph pendant. This photograph pendant is available in three finishes. Hologram (a detailed engraving with a holographic effect, Black and White (enamelling in black and white) or High Detail Colour (enamelling in full vibrant colour). It also includes a laser message of your choice on the reverse of up to 40 characters. The pendant is suspended on a sterling classic curb chain and measures 25mm in height x 20mm in width. A lovely treasured jewellery gift for someone special. Comes complete with a presentation box. Free UK delivery within 7 working days. Please note personalised items are non returnable.